The Global Digital Asset Exchange (or GDAX for short) is a fiat to crypto exchange that offers trading pairs for Bitcoin, Ethereum, Litecoin, and Bitcoin Cash. Users from the United Kingdom buy Bitcoin with the GBP, while United States and European residence have access to Bitcoin, Ethereum, and Litecoin with the USD and EUR, respectively. US investors can trade their USDs for Bitcoin Cash, as well, and the exchange also offers Bitcoin pairs with Ethereuma and Litecoin, as well. The same company that runs Coinbase also runs GDAX, and Coinbase account holders can easily extend their account access to GDAX. With GDAX, investors can deposit and trade in fiat at lower rates than Coinbase, making it an attractive alternative to what has arguably become the world’s largest cryptocurrency purchasing hub. That should be enough expository information to tide you over until we get into the thick of it. 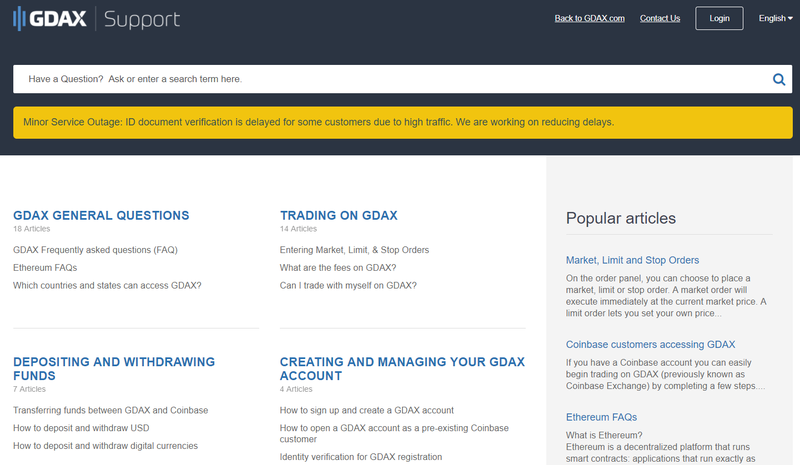 For those of you opening a GDAX account with an existing Coinbase account, verification and set up is rather easy. You need only click the “Sign in” button on GDAX’s homepage. This will redirect you to a Coinbase login page, ask you to confirm your identity with whatever two factor authentication you have set up on Coinbase, and then you’re all set. You can then link the same bank account you use with Coinbase to deposit fiat, or you can just deposit crypto in the form of Ethereum or Bitcoin–your choice. 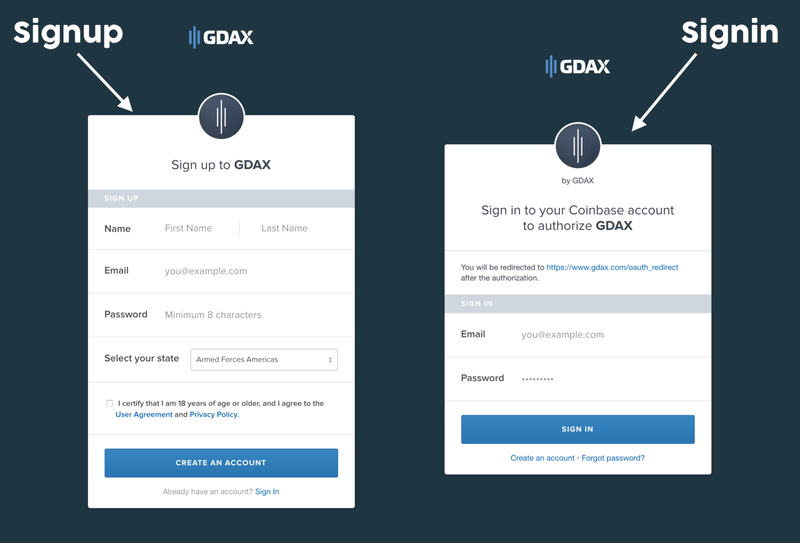 If you’re starting from scratch, you’ll have to go to “Create an account” on GDAX’s homepage and go through the usual verification process that Coinbase uses. This includes email verification and an identity verification that varies by region. Wherever you’re signing up from, GDAX has a dual verification method. For every region, this requires proof of a government issued ID for step one, while step two differs by region. You can find more information here. As with all exchanges, cryptocurrency deposits and withdrawals are entirely dependent on the respective currency’s network. For fiat, United States customers have the option of either an ACH transfer or a bank wire transfer. Deposits and withdrawals take 4-5 business days for ACH transfers, while bank wires are same day so long as they are processed before the bank’s wire transfer cut-off time (usualy 2pm). In Europe, users can send or withdraw money via SEPA transfers. This process typically takes 1-3 business days. There are no limits to cryptocurrency deposits and USD wire transfers, but SEPA and ACH transfer limits vary. For withdrawals, individual users can take out $10,000 worth of funds daily, while Institutional accounts have a daily withdrawal limit equal to $50,000. Apparently, United Kingdom customers have to use SEPA to deposit EUR into their accounts, as GBP does not have a wire transfer option. Great Britain patrons can then trade their EUR into Bitcoin and trade this for GBP on the exchange if they see fit. GDAX does not charge for cryptocurrency deposits and withdrawals. It does, however, charge a flat €0.15 for SEPA deposits and withdrawals. USD bank wires are $10 for deposits and $25 for withdrawals, while ACH transfers are free of charge. On the exchange, GDAX charges a 0.25% maker fee on all Bitcoin transactions and a 0.3% taker fee on all Litecoin and Ethereum transactions. Luckily, any maker trade is feeless. Like its brother company Coinbase, GDAX features robust security and its team is dedicated to running an airtight operation. 98% of user funds are kept in cold storage. The Federal Deposit Insurance Corporation also insures USD balances up to $250,000 in the case of an internal attack on GDAX’s hot wallet reserve. It also conducts regular IT security checks and financial audits to make sure the exchange is running as intended. On top of these features, the exchange also mandates two factor authentication for all its users, whether by email of phone. If you’re migrating to GDAX from Coinbase and you’ve never used an exchange before, you’ll likely find yourself overwhelmed at first glance. Don’t worry–you’ll adjust quickly enough. GDAX is pretty streamlined compared to most exchanges, and its UI is clean and simple. GDAX doesn’t waste any space. Your wallet, trading tools, and exchange functions all fit neatly on a single page. For new users, all of this information is difficult to digest, so having it in a single space makes GDAX more easily navigable than most of its peers. GDAS boasts a fabulous customer support resources on their website. 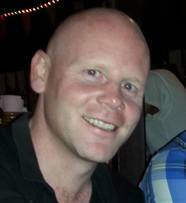 This includes general and frequently asked questions along with a search bar for users to submit their queries. If you’ve got a question, it’s highly probable that GDAX has already answered it somewhere on the site. GDAX offers a number of trading tools that seasoned investors will likely appreciate. For one, it includes an API function that allows for secure and smooth integration with trading bots. It also allows traders to set stop loses and limit buys, meaning you can set automated exchange commands if a currency goes above or below a certain price. In addition, GDAX comes with a margin trading option, allowing users to leverage a currency at 2x to 3x its value if they’re willing to take a risk. GDAX is a great alternative to Coinbase if you’re looking for a more flexible exchange experience with significantly lower fees (region depending, Coinbase charges fees of 1.49% for bank account purchases, while debit/credit card purchases run around 3.99%). Ultimately, GDAX has all of the security features and trading pairs of Coinbase without the excessive fees, but it doesn’t support as many fiat currencies. Further, United Kingdom residence are limited to BTC/GBP pairs, and they have to go through the EUR before they can even get there. Still, a user friendly interface makes GDAX a winner for newcomers looking to learn how to use exchanges for the first time. Between this win for new traders and a win for everyone’s wallets, GDAX is a damn fine exchange in our book.